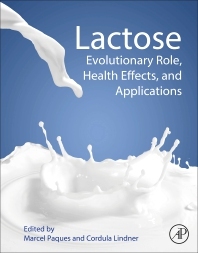 Lactose: Evolutionary Role, Health Effects, and Applications is a professional reference that addresses the latest research from the fields of food science, nutritional science, and evolutionary biology. The book presents an overview of the qualities of lactose, beginning with the intriguing evolutionary biology advantages linked to lactose digestion in humans. In addition, the book addresses how lactose’s physiological effects differ from other saccharides and impact human health. The rationale for the application of lactose as an ingredient in products—for example, as a pharmaceutical carrier—is also discussed. Written in close collaboration by key experts with years of study and practice, Lactose: Evolutionary Role, Health Effects, and Applications is the first book to address this topic exclusively. Scientists and nutritionists in academia and the dairy and food industry, as well as health professionals, will benefit from this valuable resource. 4. Lactose - A Conditional Prebiotic? Marcel Paques (biologist) was employed by Royal FrieslandCampina as principal scientist and senior research specialist since 2002. He worked at the Global Innovation Centre, where he finished his career in 2018. His key strengths are multidisciplinary integration of a wide range of various science and technology areas, and connecting research with the consumer and customer needs. 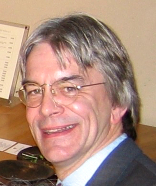 He is co-founder and editorial board member of the Food Structure & Functionality Forum and is editorial board member of the Elsevier journal “Food Structure.” He has published over 20 scientific papers and book chapters and is inventor of over 10 patents. Cordula Lindner is a biologist by training and a research scientist at the Global Innovation Centre of Royal FrieslandCampina. Her current key interest is dairy nutrition and human health with a focus on gut health and bioavailability. Her work includes the investigation of the role of the dairy matrix on the absorption of nutrients and the elucidation of effects of dairy ingredients and prebiotics on the intestinal microbiota. She has a particular interest in early nutrition, breast milk compounds, and microbiota development in the infant and the impact of those factors on early and later life health status.